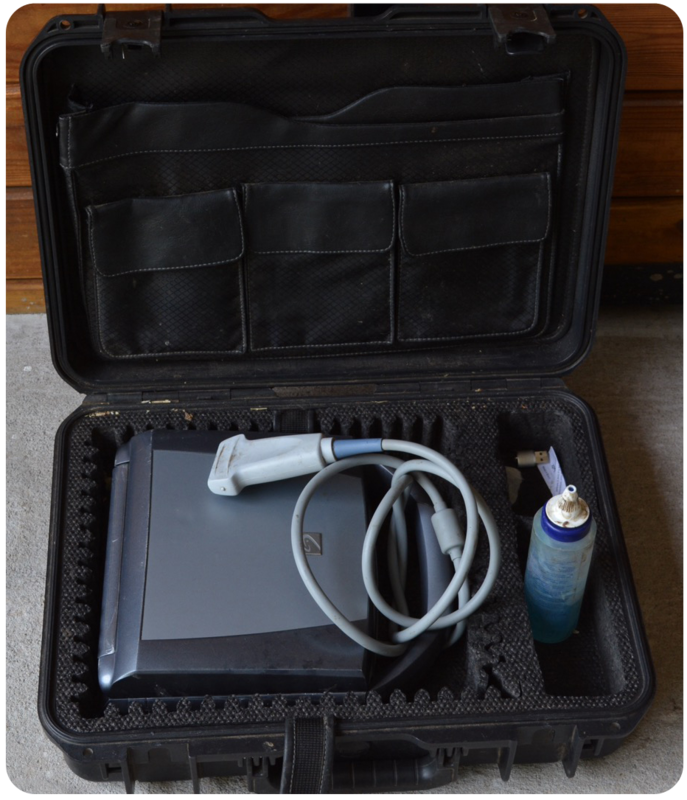 The ultrasound machine we use at Foundation Equine is of a laptop design, so it is very portable and can be used in your barn for a true “horse side” examination. The examination can be recorded and stored for playback at another time. This allows review of the information as well as transmitting to another veterinarian for a consultation, when desired. Ultrasound is also used extensively in reproduction. It gives us much information about uterine health and follicle development to aid in breeding. It is the primary method of pregnancy testing and can detect an embryo as early as 15 days of age, detect twins and monitor fetal health. 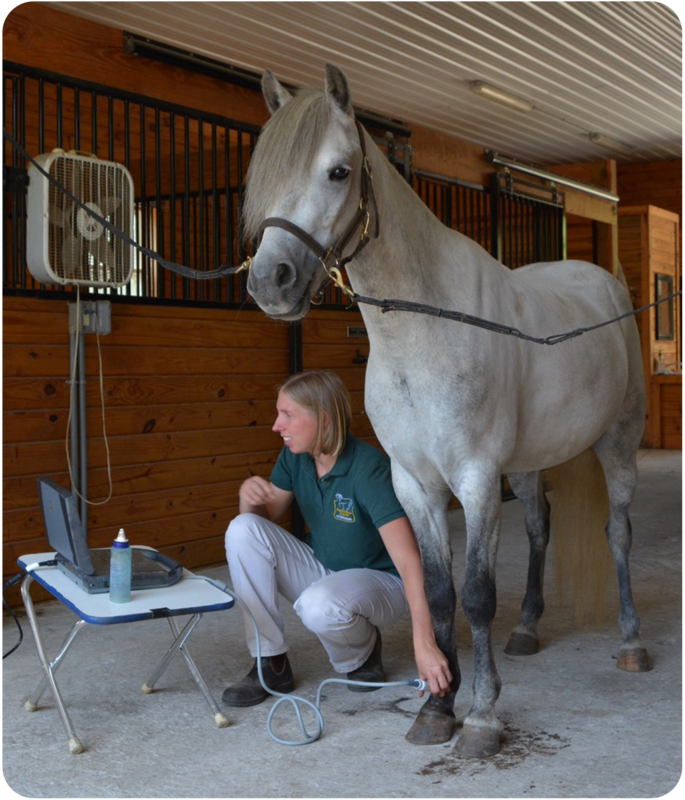 The eye, abdomen, lungs and umbilicus can be evaluated with ultrasound, as well as swellings and puncture wounds. Foreign bodies, such as wood, that are often left in a wound and which do not show up in a radiograph can be visualized using ultrasound. Foundation Equine is with you every stride of the way!